Pauline Shipman is from Long Eaton in Nottinghamshire. 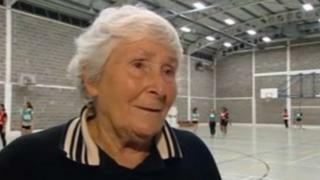 She's spent 6 decades volunteering for Nottinghamshire netball. Pauline has played, umpired and still coaches without any signs of slowing down! If you would like to find out how to volunteer for a sports club near you, take a look at this handy guide.